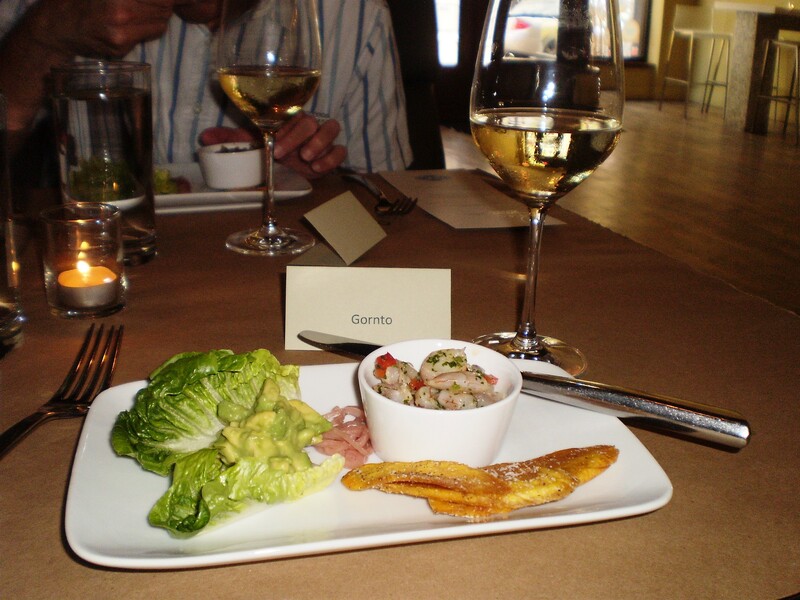 ← Casa Maya in St. Augustine a Heathy Treat! 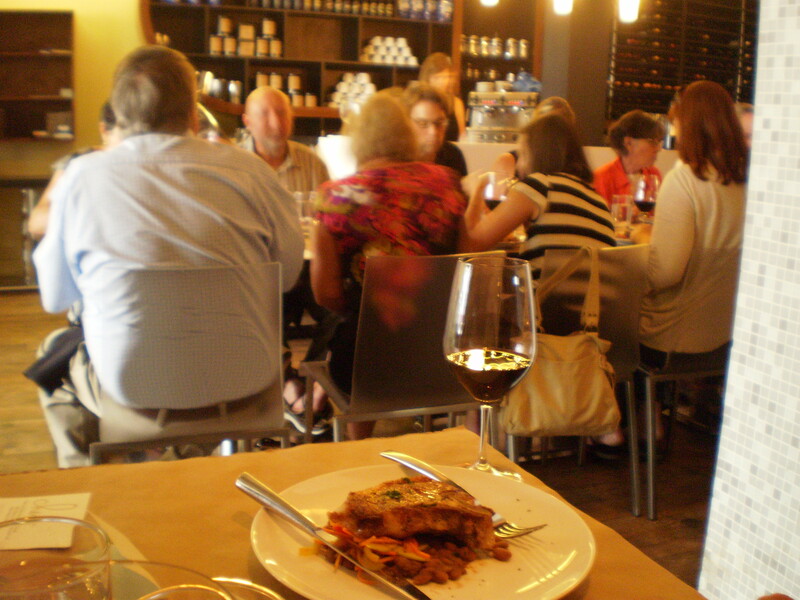 First Gluten-free Wine Dinner at Chew a Success! 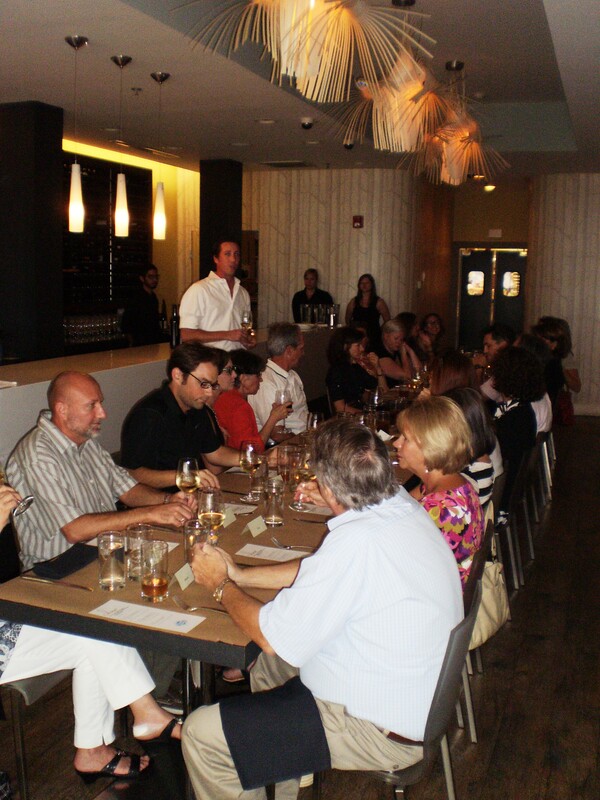 On July 20, 2011 Chew Restaurant in Jacksonville, Florida hosted the first Gluten-free wine pairing dinner which featured wines from Vingevity. The event was sold out and Chew did a wonderful presentation of the tables (and as you will see soon, the food as well). 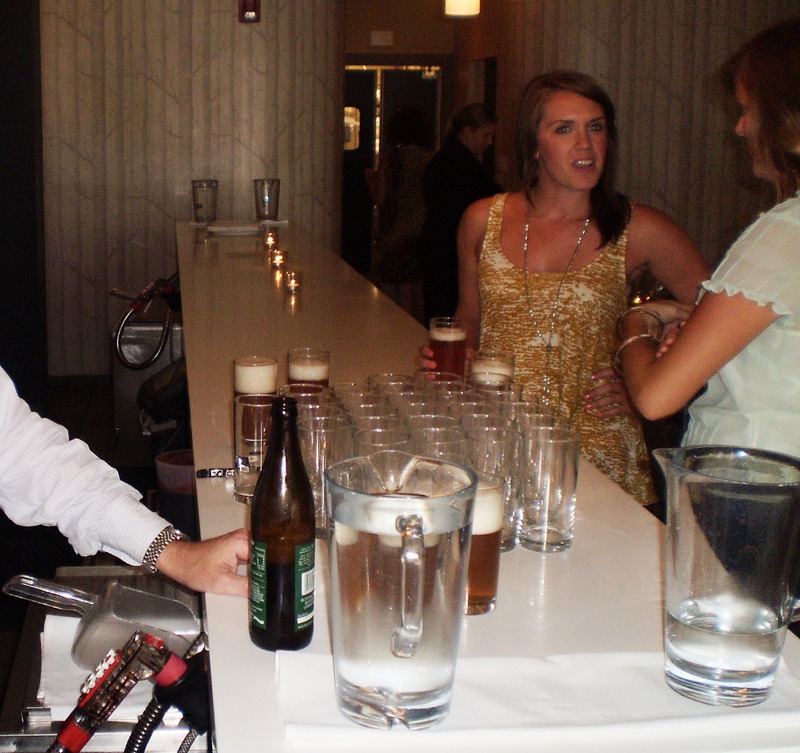 The night began with a glass of Green’s a Belgium gluten-free beer that was handed to guests as they arrived. As I walked around to talk to people who were at the event it was quite a mix of people with no-gluten allergies, various levels of gluten intolerance and Celiac disease. I was lucky to share a table with my boyfriend (who is a huge supporter of celiac disease to the point he rarely if ever complains when the only sweets I have in the house are gluten-free, he is right there with me when he could easily run across the street to Publix) as well as Mark Basch from the very informative blog Gluten-free Glutton. After a brief intro from Allan of Chew, a little thank you from me and a description of the wine from Chad of Vingevity it was time to start the first course! marinade. Not only was this my favorite course but the wine was also my favorite. I am a big fan of white wines and Sauvignon Blanc specifically. The Cuvee de Blanc from California by Hugenot Cellars, was a blend of whites, which included Sauvignon Blanc as well as other white varietals. It was not oaky and not too sweet or too sour as some Sauvignon Blancs can be. The ceviche and wine worked wonderfully together. The plaintain ships were nicely salted, I was afraid they may be sweet, but I prefer to have them with a little salt. Becuase this was a farm to table dinner I made sure to have the lettuce garnish becuase local lettuce around here is SO GOOD! Now on to the 2nd course (the main course): Black Hog Farm heritage pork chop, braised pinto beans vegetable and granny smith apple slaw paired with Reunion Malbec from Argentina. The portion size was very appropriate and the pinto beans had a nice rich flavor. The pork chop was just as mom would make yet more tender and easy to cut into. with cinnamon ice cream paired with Bold Bean’s ‘riverkeepers roast’ coffee. The peaches had to have been picked fresh, they were so tasty! When the chefs came out to make sure everyone liked the meal unanimously everyone asked how they made the crust. Bold bean coffee is a local, organic and sustainable coffee company. Supposedly, they will be opening a coffee shop in the Riverside/Five Points area. Their coffee was great! Thank you to everyone who attended and for Chew for going along with my idea. 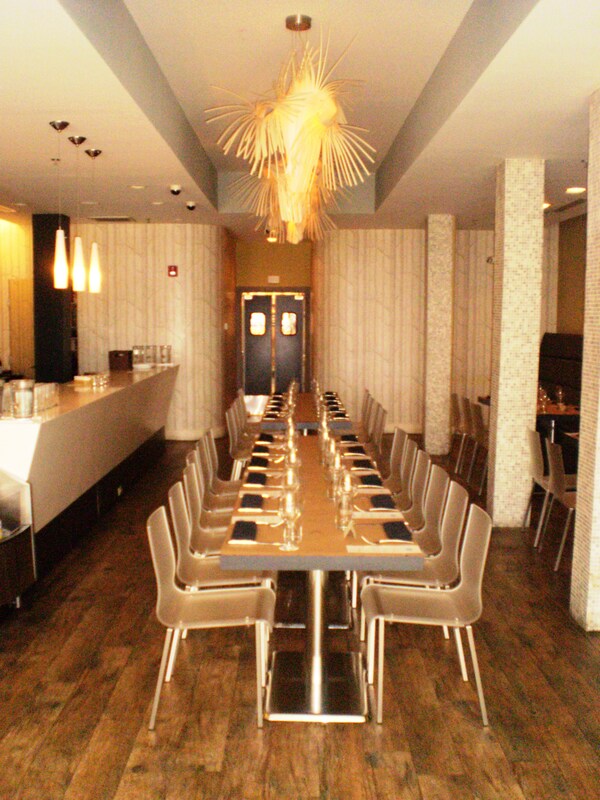 If you are looking for a place to dine gluten-free, Chew can accomodate you any time. I have eaten there multple times outside of this special gluten-free dinner and they were easily about to accomodate my needs. I hope to make these dinners a regular occurance at other restaurants around Jacksonville, so stay tuned. 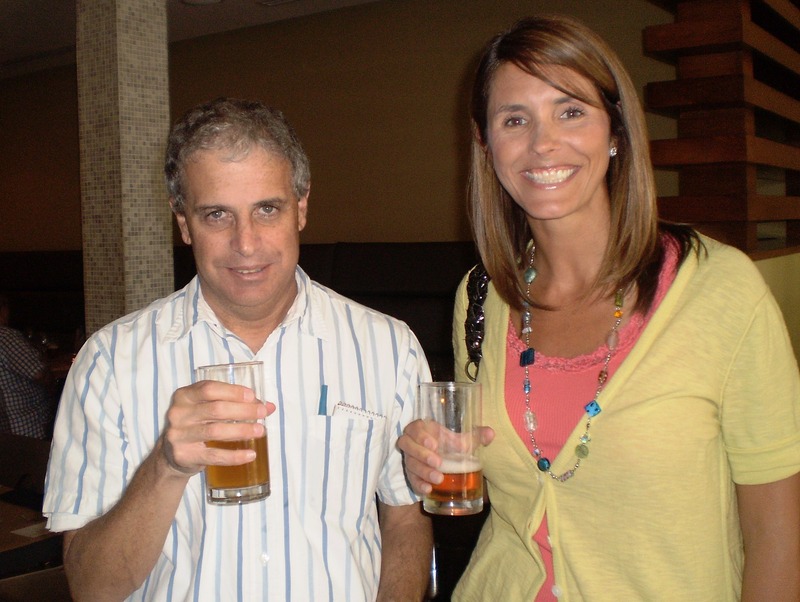 For more photos from the event visit our Gluten-free Jacksonville facebook page. Thank you, Jennifer and Chew for hosting such a wonderful evening. My parents were in town visiting and I was happy to be able to show them that eating GF can be just as good! Thanks Amanda! It was great to meet you and I am glad you had a nice time. I hope you can make it to the next one. It is in the works as we speak.